The closest I’ve ever come to wearing any kind of jewelry is probably my Call or Duty or Gears of War dog tags because things like rings just aren’t my thing. I’ve seen too many ring related injuries where they happen to get caught on things and end up ripping a person’s finger off to ever feel comfortable wearing one. 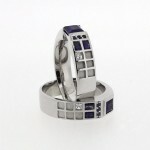 However, while I will never wear any sort of ring, I do really enjoy seeing really geeky ring designs and I love posting about them even more! 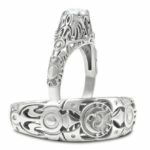 Well, speaking of amazing and really geeky ring designs, I came across this beautiful Zelda wedding ring that was inspired by the Legend of Zelda Skyward Sword’s Gate of Time that I knew I just had to post when I saw it. 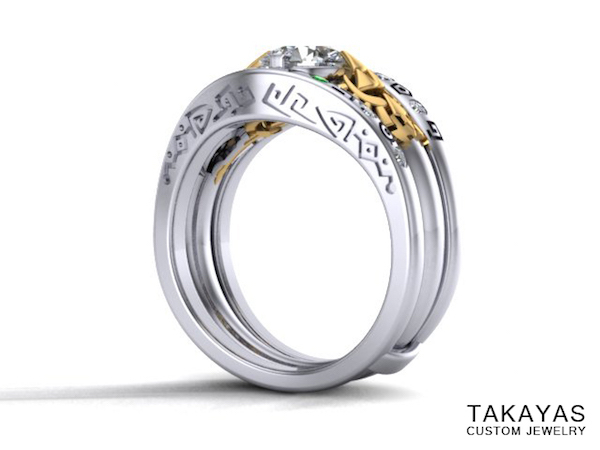 This amazing Legend of Zelda inspired wedding ring was created by Takayas Custom Jewelry for when a Robert and Jeanette got married. 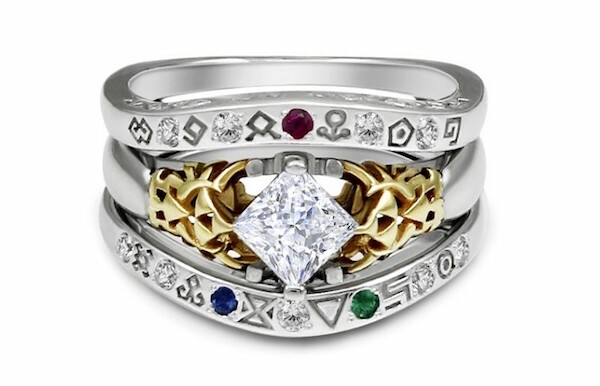 The ring features symbols from the Gate of Time, has nine diamonds, a ruby, a sapphire and an emerald which symbolizes the Triforces of power, wisdom and courage and has the Hylian Crest on both sides of the main diamond made from 14K gold. 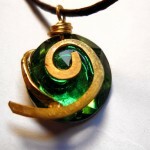 It really is a beautiful piece of jewelry! 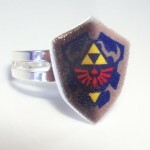 This ring is definitely fancier than the Legend of Zelda wedding rings I posted in the past although I think there is something to be said for simple designs. 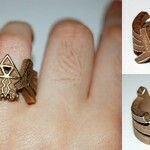 Either way, if you want a Zelda ring idea, you can’t go wrong! The only thing I would change is the box. While that is definitely and elegant looking ring box, if you are going to give somebody a Legend of Zelda ring, it really should be in a Legend of Zelda floating rupee treasure chest ring box.